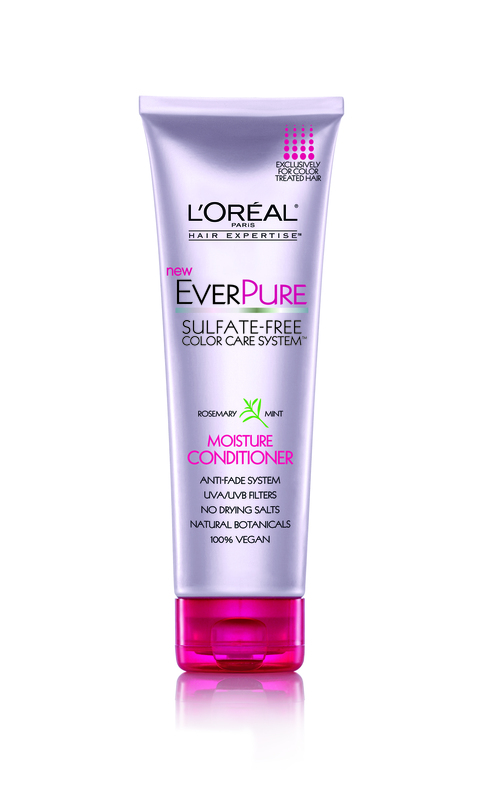 L’Oréal Paris Hair Expertise: EverPure Moisture Shampoo and Conditioner Review | beauty. bikes. Last week, we introduced L’Oréal Paris Hair Expertise Range with a 100% sulfate-free ingredient list that keeps your hair healthy without any harsh chemicals. 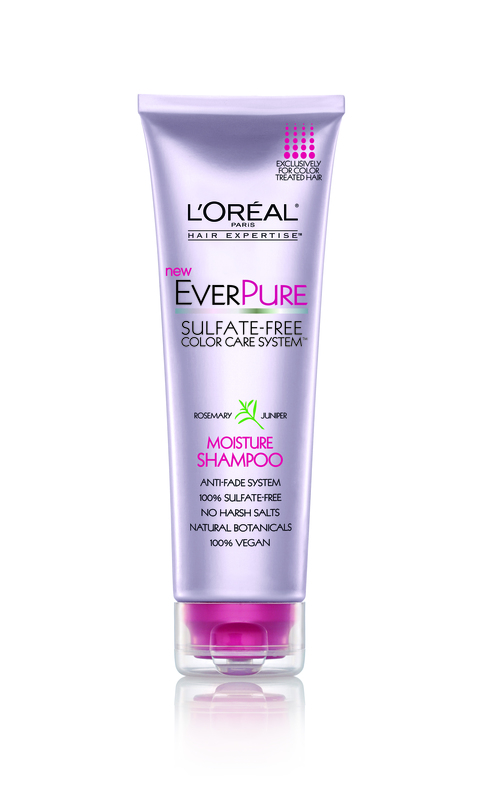 Today’s review is going to be about the EverPure range, intended for coloured hair to keep the colour lasting longer and the strands moisturised. Encased in sleek pink tubes, the EverPure Moisture Shampoo and Conditioner are equipped with an anti-fade system formulated specially for colored hair. 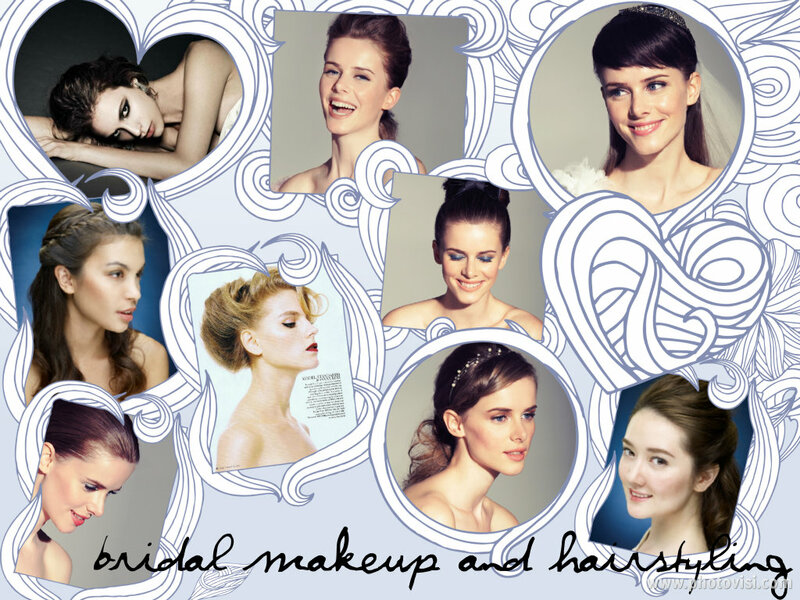 Free of moisture-stripping sulfates that cause hair color to turn dull and fade easily, the products are also enriched with UVA and UVB filters to protect hair color from the harmful rays of the sun. The natural botanical infusions of rosemary, mint and juniper are milder on the scalp as well as the hair strands, leading to longer-lasting colour and a healthier scalp. Despite being 100% sulfate-free, this shampoo still works up a decent amount of lather. That said, if you prefer more sudsy shampoos, just using a slightly larger amount of product (about the size of a 50 cent coin) will produce the same amount of foam as one would get from using a shampoo containing sulfates. What I liked about the product is that it does not strip the hair of too much moisture, which is important because your hair also needs some natural oils to stay healthy. After rinsing it out, my hair does not feel “squeaky clean” as is the case with using shampoo containing sulfates, but still did the job of removing the oils and dirt from my scalp. Interestingly enough, the conditioner has a pleasant and refreshing minty smell which leaves your hair smelling nice after a shower. It has a thick consistency which helped to provide the much-needed moisture and hydration that coloured hair needs because the process of colouring strips your hair of moisture and leaves it looking dry and dull, but does not a leave a greasy residue after rinsing out. 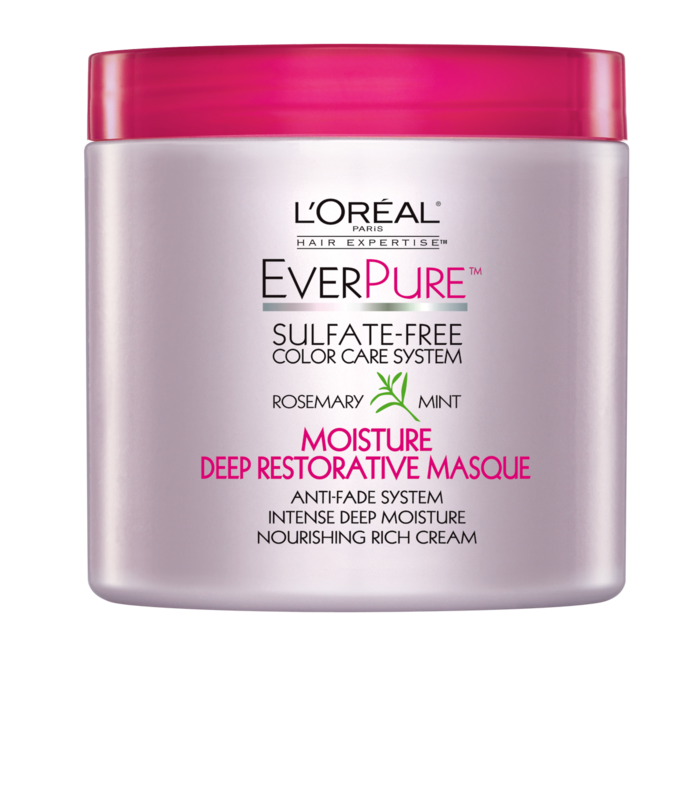 That said, it provides light conditioning so if you have severely damaged hair, you may require a more intensive moisturising treatment like the EverPure Moisture Deep Restorative Masque (150ml) SGD$17.90. The EverPure range is also reasonably priced for a drugstore brand, with prices ranging from SGD$14.90 for a 250ml Shampoo to SGD$19.90 for a Leave-In Conditioner. While I enjoyed using both products, just from using it a couple of times, I was not able to tell the immediate difference that a sulfate-free shampoo has in terms of leaving you with healthier hair and scalp. To properly test whether its does prevent colour from fading quickly while making your hair and scalp healthier, I’ll have to continue testing it out over the next few weeks to see whether it does live up to its claims. If you’re in the market for an affordable moisturising shampoo and conditioner for damaged hair, then do consider trying out this range of products. From mid June 2013 to July 2013, join L’Oréal Paris Hair Expertise in its Sulfate-Free revolution by trading in any of the bottled hair care products that contains sulfate for a 59ml bottle of L’Oréal Paris Hair Expertise shampoo and conditioner at selected retail outlets. Tags: conditioner, everpure, haircare, loreal, shampoo. Bookmark the permalink.